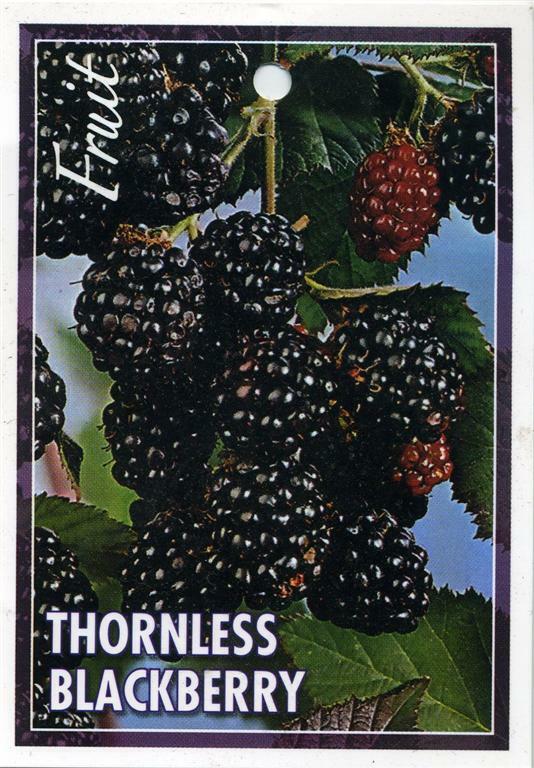 This "thornless" selection of the common blackberry was made in America and may have very fine prickles. It is a vigorous growing plant that can provide an abundance of fruit after the second season. Suitable for home gardens. Vigorous plant that doesn't sucker. Prefers well-drained, slightly acid soil in semi-shaded, protected position. 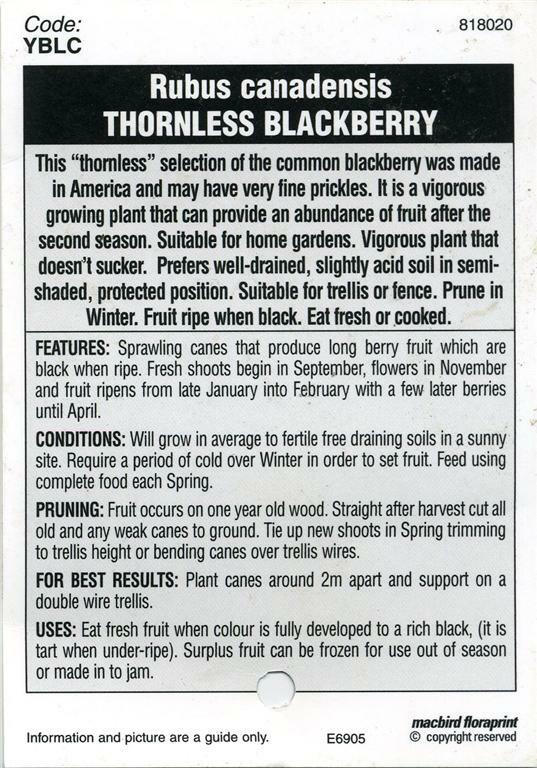 Suitable for trellis or fence. Prune in Winter. Fruit ripe when black. Eat fresh or cooked. 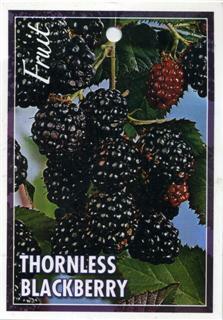 Features: Sprawling canes that produce long berry fruit which are black when ripe. Fresh shoots begin in September, flowers in November and fruit ripens from late January into February with a few later berries until April. Conditions: Will grow in average to fertile free draining soils in a sunny site. Require a period of cold over Winter in order to set fruit. Feed using complete food each Spring. Pruning: Fruit occurs on one year old wood. Straight after harvest cut all old and any weak canes to ground. Tie up new shoots in Spring trimming to trellis height or bending canes over trellis wires. For Best Results: Plant canes around 2m apart and support on a double wire trellis. 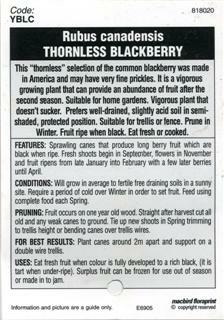 Uses: Eat fresh fruit when colour is fully developed to rich black, (it is tart when under-ripe). Surplus fruit can be frozen for use out of season or made in to jam.